Abstract: Paper aims: This paper aims to understand the relationship between Information & Communication Technology (ICT), collaborative New Product Development (NPD) and customer satisfaction (NPD performance). Originality: We target the relationship between ICT, collaborative NPD and NPD performance. ICT is assessed as a set of specific tools adopted by the companies. Research method: We test the mediating role of collaborative practices in the effect of ICT tools on customer satisfaction (as NPD performance) by means of a survey of 105 Brazilian firms. Main findings: Collaboration with customers and suppliers has an important role for customer satisfaction and the use of ICT has significant effect on NPD performance through the mediating role of collaborative practices. Ahuja, V., Yang, J., & Shankar, R. (2009). Benefits of collaborative ICT adoption for building project management. Construction Innovation, 9(3), 323-340. http://dx.doi.org/10.1108/14714170910973529. Ajzen, I. (1991). The theory of planned behavior. Organizational Behavior and Human Decision Processes, 50(2), 179-211. http://dx.doi.org/10.1016/0749-5978(91)90020-T.
Asimakopoulos, S., & Dix, A. (2013). Forecasting support systems technologies-in-practice: a model of adoption and use for product forecasting. International Journal of Forecasting , 29(2), 322-336. http://dx.doi.org/10.1016/j.ijforecast.2012.11.004. Backer, K., López-Bassols, V., & Martinez, C. (2008). Open innovation in a global perspective: what do existing data tell us? (OECD Science, Technology and Industry Working Papers, No. 2008/04). Paris: OECD Publishing. http://doi.org/10.1787/230073468188. Bagozzi, R. Y. I., Yi, Y., & Phillips, L. W. (1991). Assessing construct validity in organizational research. Administrative Science Quarterly, 36(3), 421-458. http://dx.doi.org/10.2307/2393203. Banker, R. D., Bardhan, I., & Asdemir, O. (2006). Understanding the impact of collaboration software on product design and development. Information Systems Research , 17(4), 352-373. http://dx.doi.org/10.1287/isre.1060.0104. Barczak, G., Hultink, E. J., & Sultan, F. (2008). Antecedents and consequences of information technology usage in NPD: a comparison of Dutch and U.S. companies. Journal of Product Innovation Management, 25(6), 620-631. http://dx.doi.org/10.1111/j.1540-5885.2008.00326.x. Barczak, G., Sultan, F., & Hultink, E. J. (2007). Determinants of IT usage and new product performance. Journal of Product Innovation Management, 24(6), 600-613. http://dx.doi.org/10.1111/j.1540-5885.2007.00274.x. Baron, R. M., & Kenny, D. A. (1986). The moderator-mediator variable distinction in social psychological research: conceptual, strategic, and statistical considerations. Journal of Personality and Social Psychology, 51(6), 1173-1182. http://dx.doi.org/10.1037/0022-3514.51.6.1173. PMid:3806354. Bombaywala, M., & Riandita, A. (2015). Stakeholders’ collaboration on innovation in food industry. Procedia: Social and Behavioral Sciences, 169, 395-399. http://dx.doi.org/10.1016/j.sbspro.2015.01.325. Bryan, R., Rudolf, J., & Daekwan, R. S. (2014). The impact of technological, organizational and environmental characteristics on electronic collaboration and relationship performance in international customer-supplier relationships. Information & Management, 51(7), 854-864. http://dx.doi.org/10.1016/j.im.2014.08.002. Chang, J. (2017). The effects of buyer-supplier’s collaboration on knowledge and product innovation. Industrial Marketing Management, 65, 129-143. http://dx.doi.org/10.1016/j.indmarman.2017.04.003. Chen, C.-J. (2007). Information technology, organizational structure, and new product development: the mediating effect of cross-functional team interaction. IEEE Transactions on Engineering Management, 54(4), 687-698. http://dx.doi.org/10.1109/TEM.2007.906831. Chesbrough, H. W. (2006). Open innovation: the new imperative for creating and profiting from technology. Boston: Harvard Business Press. Consoli, D. (2012). Literature analysis on determinant factors and the impact of ICT in SMEs. Procedia: Social and Behavioral Sciences, 62, 93-97. http://dx.doi.org/10.1016/j.sbspro.2012.09.016. Cortimiglia, M. N., Frank, A. G., & Miorando, R. F. (2012). ICT trends in Brazil. IT Professional, 14(4), 31-38. http://dx.doi.org/10.1109/MITP.2012.70. Couto e Silva Neto, F. C., Santos, U. P., Parreiras Oliveira, V., Castro, P. G., Melo Franco, L. T., & Negri, F. (2013). Patterns of interaction between national and multinational corporations and Brazilian universities/public research institutes. Science & Public Policy, 40(3), 281-292. http://dx.doi.org/10.1093/scipol/scs105. Delone, W. H., & McLean, E. R. (1992). Information systems success: the quest for the dependent variable. Information Systems Research, 3(1), 60-95. http://dx.doi.org/10.1287/isre.3.1.60. Deuter, A., & Rizzo, S. (2016). A critical view on PLM/ALM convergence in practice and research. Procedia Technology, 26, 405-412. http://dx.doi.org/10.1016/j.protcy.2016.08.052. Dong, J. Q., & Yang, C.-H. (2015). Information technology and organizational learning in knowledge alliances and networks: evidence from U.S. pharmaceutical industry. Information & Management, 52(1), 111-122. http://dx.doi.org/10.1016/j.im.2014.10.010. Durmuşoğlu, S. S., & Barczak, G. (2011). The use of information technology tools in new product development phases: analysis of effects on new product innovativeness, quality, and market performance. Industrial Marketing Management, 40(2), 321-330. http://dx.doi.org/10.1016/j.indmarman.2010.08.009. Ettlie, J. E., & Pavlou, P. A. (2006). Technology-based new product development partnerships. Decision Sciences, 37(2), 117-147. http://dx.doi.org/10.1111/j.1540-5915.2006.00119.x. Flynn, B. B., Huo, B., & Zhao, X. (2010). The impact of supply chain integration on performance: a contingency and configuration approach. Journal of Operations Management , 28(1), 58-71. http://dx.doi.org/10.1016/j.jom.2009.06.001. Frank, A. G., Ribeiro, J. L. D., & Echeveste, M. E. (2015). Factors influencing knowledge transfer between NPD teams: a taxonomic analysis based on a sociotechnical approach. R & D Management, 45(1), 1-22. http://dx.doi.org/10.1111/radm.12046. Gonçalves, P., Ferreira, L., Gonçalves, J., Putnik, G. D., & Cruz-Cunha, M. M. (2014). Direct communication versus virtual communication in virtual teams. Procedia Technology, 16, 3-10. http://dx.doi.org/10.1016/j.protcy.2014.10.062. Gono, S., Harindranath, G., & Özcan, G. B. (2016). The adoption and Impact of ICT in South African SMEs. The Strategic Impact of Information Technology Deployment, 1(734), 717-734. Griffith, T. L., & Sawyer, J. E. (2006). Supporting technologies and organizational practices for the transfer of knowledge in virtual environments. Group Decision and Negotiation, 15(4), 407-423. http://dx.doi.org/10.1007/s10726-006-9048-4. Gu, S., & Lundvall, B. Å. (2006). Introduction: China’s innovation system and the move towards harmonious growth and endogenous innovation. Innovation , 8(1-2), 1-26. http://dx.doi.org/10.5172/impp.2006.8.1-2.1. Hair Junior, J. F., Black, W. C., Babin, B. J., & Anderson, R. E. (2009). Multivariate data analysis (6th ed.). New York: Prentice-Hall International. Hemetsberger, A., & Godula, G. (2007). Integrating expert customers in new product development in industrial business-virtual routes to success. Innovative Marketing, 3(3), 28-33. Isaksson, A. J., Harjunkoski, I., & Sand, G. (2017). the impact of digitalization on the future of control and operations. Computers & Chemical Engineering . http://dx.doi.org/10.1016/j.compchemeng.2017.10.037. Johnsen, T. E. (2009). Supplier involvement in new product development and innovation: Taking stock and looking to the future. Journal of Purchasing and Supply Management , 15(3), 187-197. http://dx.doi.org/10.1016/j.pursup.2009.03.008. Kannebley Júnior, S., Porto, G. S., & Pazello, E. T. (2005). Characteristics of Brazilian innovative firms: An empirical analysis based on PINTEC: industrial research on technological innovation. Research Policy, 34(6), 872-893. http://dx.doi.org/10.1016/j.respol.2005.04.003. Kawakami, T., Durmuşoğlu, S. S., & Barczak, G. (2011). Factors influencing information technology usage for new product development: the case of japanese companies. Journal of Product Innovation Management, 28(6), 833-847. http://dx.doi.org/10.1111/j.1540-5885.2011.00848.x. Kim, Y., Hall, H., & Hall, H. (2011). Technology adoption and use theory review for studying scientists ’ continued use of cyber-infrastructure. ASSIST, 48(1), 1-10. https://doi.org/10.1002/meet.2011.14504801197. Koufteros, X. A., Edwin Cheng, T. C., & Lai, K. H. (2007). “Black-box” and “gray-box” supplier integration in product development: antecedents, consequences and the moderating role of firm size. Journal of Operations Management , 25(4), 847-870. http://dx.doi.org/10.1016/j.jom.2006.10.009. La Rocca, A., Moscatelli, P., Perna, A., & Snehota, I. (2016). Industrial Marketing Management Customer involvement in new product development in B2B : The role of sales. Industrial Marketing Management, 58, 45-57. http://dx.doi.org/10.1016/j.indmarman.2016.05.014. Laage-Hellman, J., Lind, F., & Perna, A. (2014). Customer Involvement in Product Development: An Industrial Network Perspective. Journal of Business-To-Business Marketing , 21(4), 257-276. http://dx.doi.org/10.1080/1051712X.2014.979594. Lakemond, N., Berggren, C., & Weele, A. (2006). Coordinating supplier involvement in product development projects: a differentiated coordination typology. R & D Management, 36(1), 55-66. http://dx.doi.org/10.1111/j.1467-9310.2005.00415.x. Langner, B., & Seidel, V. P. (2009). Collaborative concept development using supplier competitions: Insights from the automotive industry. Journal of Engineering and Technology Management, 26(1-2), 1-14. http://dx.doi.org/10.1016/j.jengtecman.2009.03.007. Lapierre, J., & Denier, A. (2005). ICT adoption and moderating effects of institutional factors on salesperson’s communication effectiveness: a contingency study in high-tech industries. Technovation, 25(8), 909-927. http://dx.doi.org/10.1016/j.technovation.2004.01.012. Lehrer, M., & Behnam, M. (2009). Modularity vs programmability in design of international products: beyond the standardization-adaptation tradeoff? European Management Journal, 27(4), 281-292. http://dx.doi.org/10.1016/j.emj.2009.01.003. Li, M., Zheng, X., & Zhuang, G. (2017). Information technology-enabled interactions, mutual monitoring, and supplier-buyer cooperation: a network perspective. Journal of Business Research, 78, 268-276. http://dx.doi.org/10.1016/j.jbusres.2016.12.022. Marion, T. J., Barczak, G., & Hultink, E. J. (2014). Do social media tools impact the development phase? An exploratory study. Journal of Product Innovation Management , 31(S1), 18-29. http://dx.doi.org/10.1111/jpim.12189. Marodin, G., Frank, A. G., Tortorella, G., & Saurin, T. A. (2016). 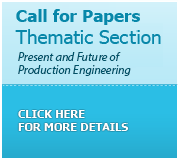 Contextual factors and lean production implementation in the Brazilian automotive supply chain. 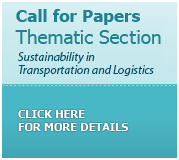 Supply Chain Management, 21(4), 417-432. http://dx.doi.org/10.1108/SCM-05-2015-0170. Marra, M., Ho, W., & Edwards, J. S. (2012). Supply chain knowledge management: a literature review. Expert Systems with Applications, 39(5), 6103-6110. http://dx.doi.org/10.1016/j.eswa.2011.11.035. McGrath, K., & Maiye, A. (2010). The role of institutions in ICT innovation: learning from interventions in a Nigerian e-government initiative. Information Technology for Development, 16(4), 260-278. http://dx.doi.org/10.1080/02681102.2010.498408. Miyatake, K., Nemoto, T., Nakaharai, S., & Hayashi, K. (2016). Reduction in consumers’ purchasing cost by online shopping. Transportation Research Procedia , 12, 656-666. http://dx.doi.org/10.1016/j.trpro.2016.02.019. Montoya, M. M., Massey, A. P., Hung, Y. C., & Crisp, C. B. (2009). Can you hear me now? Communication in virtual product development teams. Journal of Product Innovation Management , 26(2), 139-155. http://dx.doi.org/10.1111/j.1540-5885.2009.00342.x. Mu, J., Thomas, E., Peng, G., & Di Benedetto, A. (2017). Strategic orientation and new product development performance: the role of networking capability and networking ability. Industrial Marketing Management, 64, 187-201. http://dx.doi.org/10.1016/j.indmarman.2016.09.007. Nazari-Shirkouhi, S. (2015). Investigating the effects of customer relationship management and supplier relationship management on new product development. Tehnički vjesniK, 22(1), 191-200. http://dx.doi.org/10.17559/TV-20140623130536. Ngwenyama, O., & Morawczynski, O. (2009). Factors affecting ICT expansion in emerging economies: analysis of ict infrastructure expansion in five latin american countries. Information Technology for Development, 15(4), 237-258. http://dx.doi.org/10.1002/itdj.20128. Nunes, M., Pereira, A. C., & Alves, A. C. (2017). Smart products development approaches for Industry 4.0. Procedia Manufacturing, 13, 1215-1222. http://dx.doi.org/10.1016/j.promfg.2017.09.035. Oh, Y., Han, S., & Suh, H. (2001). Mapping product structures between CAD and PDM systems using UML. Computer Aided Design, 33(7), 521-529. http://dx.doi.org/10.1016/S0010-4485(01)00051-3. Ozer, M. (2000). Information technology and new product development. Industrial Marketing Management, 29(5), 387-396. http://dx.doi.org/10.1016/S0019-8501(99)00060-7. Park, J.-G., & Lee, J. (2014). Knowledge sharing in information systems development projects: explicating the role of dependence and trust. International Journal of Project Management, 32(1), 153-165. http://dx.doi.org/10.1016/j.ijproman.2013.02.004. Pavlou, P. A., & El Sawy, O. A. (2010). The “third hand”: IT-enabled competitive advantage in turbulence through improvisational capabilities. Information Systems Research, 21(3), 443-471. http://dx.doi.org/10.1287/isre.1100.0280. Peng, D. X., Heim, G. R., & Mallick, D. N. (2014). Collaborative product development: the effect of project complexity on the use of information technology tools and new product development practices. Production and Operations Management, 23(8), 1421-1438. http://dx.doi.org/10.1111/j.1937-5956.2012.01383.x. Podsakoff, P. M., Mackenzie, S. B., Lee, J.-Y., & Podsakoff, N. P. (2003). Common method biases in behavioral research: a critical review of the literature and recommended remedies. The Journal of Applied Psychology, 88(5), 879-903. http://dx.doi.org/10.1037/0021-9010.88.5.879. PMid:14516251. Prashanth, B. N., & Venkataram, R. (2017). Development of modular integration framework between PLM and ERP systems. Materials Today: Proceedings, 4(2), 2269-2278. http://dx.doi.org/10.1016/j.matpr.2017.02.075. Presutti Junior, W. D. (2003). Supply management and e-procurement: creating value added in the supply chain. Industrial Marketing Management, 32(3), 219-226. http://dx.doi.org/10.1016/S0019-8501(02)00265-1. Primo, M. A., & Amundson, S. D. (2002). An exploratory study of the effects of supplier relationships on new product development outcomes. Journal of Operations Management , 20(1), 33-52. http://dx.doi.org/10.1016/S0272-6963(01)00080-8. Queiroz, S., & Carvalho, R. D. Q. (2005). Empresas multinacionais e inovação tecnológica no Brasil. São Paulo em Perspectiva, 19(2), 51-59. http://dx.doi.org/10.1590/S0102-88392005000200005. Ragatz, G. L., Handfield, R. B., & Petersen, K. J. (2002). Benefits associated with supplier integration into new product development under conditions of technology uncertainty. Journal of Business Research, 55(5), 389-400. http://dx.doi.org/10.1016/S0148-2963(00)00158-2. Ragatz, G. L., Handfield, R. B., & Scannell, T. V. (1997). Success factors for integrating suppliers into new product development. Journal of Product Innovation Management , 14(3), 190-202. http://dx.doi.org/10.1016/S0737-6782(97)00007-6. Reid, M., Hultink, E. J., Marion, T., & Barczak, G. (2016). The impact of the frequency of usage of IT artifacts on pre-development performance in the NPD process. Information & Management, 53(4), 422-434. http://dx.doi.org/10.1016/j.im.2015.10.008. Roztocki, N., & Weistroffer, H. R. (2015). Information and communication technology in transition economies: an assessment of research trends. Information Technology for Development, 21(3), 330-364. http://dx.doi.org/10.1080/02681102.2014.891498. Santos, K., Loures, E., Piechnicki, F., & Canciglieri, O. (2017). Opportunities assessment of product development process in industry 4.0. Procedia Manufacturing , 11, 1358-1365. http://dx.doi.org/10.1016/j.promfg.2017.07.265. Silva, C. (2014). The role of ICT in collaborative product development: a conceptual model based on information processing theory. International Journal of Innovation, Management and Technology, 5(1), 43-49. http://dx.doi.org/10.7763/IJIMT.2014.V5.484. Silva, F. C. D. C., Santos, U. P., Oliveira, V. P., Castro, P. G., Melo Franco, L. T., & Negri, F. (2012). Patterns of interaction between national and multinational corporations and Brazilian universities/public research institutes. Science & Public Policy, 40(3), 281-292. Sjoerdsma, M., & Van Weele, A. J. (2015). Managing supplier relationships in a new product development context. Journal of Purchasing and Supply Management, 21(3), 192-203. http://dx.doi.org/10.1016/j.pursup.2015.05.002. Song, L. Z., & Song, M. (2010). The role of information technologies in enhancing R&D-marketing integration: an empirical investigation. Journal of Product Innovation Management , 27(3), 382-401. http://dx.doi.org/10.1111/j.1540-5885.2010.00723.x. Storbacka, K., Frow, P., Nenonen, S., & Payne, A. (2012). Designing business models for value co-creation. Review of Marketing Research, 9, 51-78. http://dx.doi.org/10.1108/S1548-6435(2012)0000009007. Tarutė, A., & Gatautis, R. (2014). ICT impact on SMEs performance. Procedia: Social and Behavioral Sciences, 110, 1218-1225. http://dx.doi.org/10.1016/j.sbspro.2013.12.968. Tavallaei, R., Hosseinalipour, M., & Mohebifar, A. (2015). Top critical success factors for enterprises to benefit a prosperous learning through strategic alliances in developing countries. Procedia: Social and Behavioral Sciences, 194, 174-180. http://dx.doi.org/10.1016/j.sbspro.2015.06.131. Tether, B. S. (2002). Who co-operates for innovation, and why. Research Policy , 31(6), 947-967. http://dx.doi.org/10.1016/S0048-7333(01)00172-X. Tontini, G. (2016). Identifying opportunities for improvement in online shopping sites. Journal of Retailing and Consumer Services, 31, 228-238. http://dx.doi.org/10.1016/j.jretconser.2016.02.012. Ulmanis, J., & Deniņš, A. (2012). A management model of ICT adoption in Latvia. Procedia: Social and Behavioral Sciences, 41, 251-264. http://dx.doi.org/10.1016/j.sbspro.2012.04.029. Urraca-Ruiz, A., & Amorim, R. B.. (2010). Diferenças de comportamento inovador entre empresas nacionais e estrangeiras no Brasil. Revista Brasileira de Inovação , 9(1), 29-68. http://dx.doi.org/10.20396/rbi.v9i1.8648993. Van Echtelt, F. E. A., Wynstra, F., Van Weele, A. J., & Duysters, G. (2006). Summary for policymakers. In Intergovernmental Panel on Climate Change. Climate change: the physical science basis (pp. 1-30). Cambridge: Cambridge University Press. http://doi.org/10.1017/CBO9781107415324.004. Venkatesh, V., Davis, F. D., & College, S. M. W. (2012). Theoretical acceptance extension model. Field Four Studies of the Technology Longitudinal, 46(2), 186-204. Vilaseca-Requena, J., Torrent-Sellens, J., & Jiménez-Zarco, A. I. (2007). ICT use in marketing as innovation success factor: enhancing cooperation in new product development processes. European Journal of Innovation Management, 10(2), 268-288. http://dx.doi.org/10.1108/14601060710745297. Wang, C., Fergusson, C., Perry, D., & Antony, J. (2008). A conceptual case-based model for knowledge sharing among supply chain members. Business Process Management Journal, 14(2), 147-165. http://dx.doi.org/10.1108/14637150810864907. Wang, C.-H. (2015). Using quality function deployment to conduct vendor assessment and supplier recommendation for business-intelligence systems. Computers & Industrial Engineering, 84, 24-31. http://dx.doi.org/10.1016/j.cie.2014.10.005. Wasti, N. S., & Liker, J. K. (1997). Risky business or competitive power? Supplier involvement in japanese product design. Product Innovation Management, 14(5), 337-355. http://dx.doi.org/10.1016/S0737-6782(97)00024-6. Watkins, A., Papaioannou, T., Mugwagwa, J., & Kale, D. (2015). National innovation systems and the intermediary role of industry associations in building institutional capacities for innovation in developing countries: a critical review of the literature. Research Policy, 44(8), 1407-1418. http://dx.doi.org/10.1016/j.respol.2015.05.004. Wong, C. W. Y., Wong, C. Y., & Boon-Itt, S. (2013). The combined effects of internal and external supply chain integration on product innovation. International Journal of Production Economics, 146(2), 566-574. http://dx.doi.org/10.1016/j.ijpe.2013.08.004. Wu, J., Wu, Z., & Si, S. (2016). The influences of internet-based collaboration and intimate interactions in buyer: supplier relationship on product innovation. Journal of Business Research, 69(9), 3780-3787. http://dx.doi.org/10.1016/j.jbusres.2015.12.070. Xu, L., Cui, N., Qualls, W., & Zhang, L. (2017). How socialization tactics affect supplier-buyer co-development performance in exploratory and exploitative projects: the mediating effects of cooperation and collaboration. Journal of Business Research, 78, 242-251. http://dx.doi.org/10.1016/j.jbusres.2016.12.019. Zhou, N., Nagaligam, S., & Lin, G. (2007). Application of virtual CIM in small and medium manufacturing enterprises. In Proceedings of the 35th International MATADOR Conference (pp. 161-164). London: Springer. http://dx.doi.org/10.1007/978-1-84628-988-0_35.